Qualcomm Incorporated (NASDAQ: QCOM) today announced that a jury in the U.S. District Court for the Southern District of California has found that Apple (Nasdaq: AAPL) iPhone 7, 7 Plus, 8, 8 Plus and X infringe two Qualcomm patents, U.S. Patent No. 8,838,949, and U.S. Patent No. 9,535,490, and Apple iPhone 8, 8 Plus and X infringe Qualcomm's U.S. Patent No. 8,633,936. 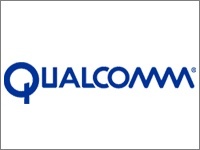 The jury awarded Qualcomm $31 million in damages for infringement of the patents from July 6, 2017, the date the lawsuit was filed, through the end of the trial. The three infringed patents cover technologies invented by Qualcomm in San Diego. "Today's unanimous jury verdict is the latest victory in our worldwide patent litigation directed at holding Apple accountable for using our valuable technologies without paying for them," said Don Rosenberg, executive vice president and general counsel for Qualcomm. "The technologies invented by Qualcomm and others are what made it possible for Apple to enter the market and become so successful so quickly. The three patents found to be infringed in this case represent just a small fraction of Qualcomm's valuable portfolio of tens of thousands of patents. We are gratified that courts all over the world are rejecting Apple's strategy of refusing to pay for the use of our IP." The three infringed patents support different popular smartphone features. U.S. Patent No. 8,838,949 enables "flashless booting" which eliminates the cost and footprint of separate flash memory and allows a smartphone to connect to the internet quickly after being powered on. U.S. Patent No. 9,535,490 enables the applications on a smartphone to get their data to and from the internet quickly and efficiently by acting as a smart "traffic cop" between the applications processor and the modem. U.S. Patent No. 8,633,936 enables high performance and rich visual graphics for games while increasing a smartphone's battery life. These patents are outside of the modem processors and are not essential to practice any cellular standard.